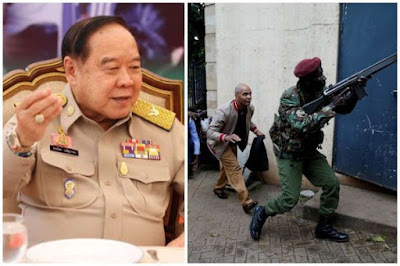 THE Deputy Prime Minister of Thailand, Prawit Wongsuwan, has made an insensitive remark about the recent terrorist attack in Kenya. On Tuesday afternoon, five armed terrorists launched an attack, killing 21 civilians at the DusitD2 hotel and office complex. But the terrorists were later killed during the attack. Commenting on the attack during a press briefing, Prawit Wongsuwan, who is also the Defence Minister told reporters it was ‘good enough’ that no Thai citizens had been killed in the horrific attack in Nairobi on Tuesday.